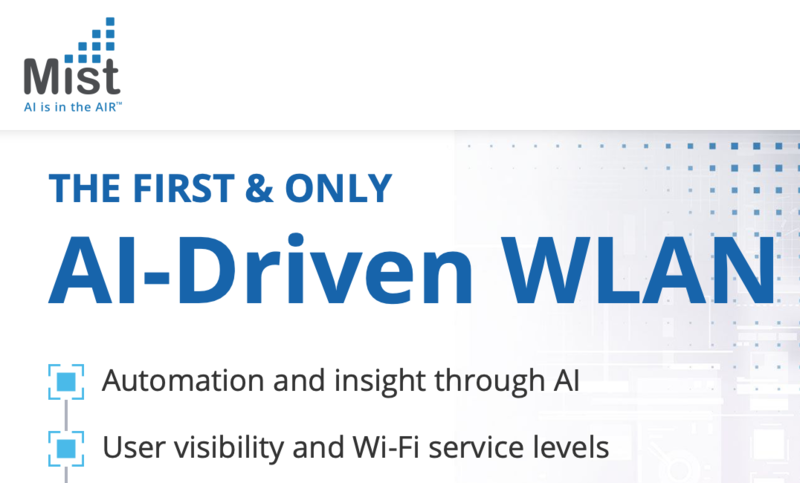 Mist Systems claims to be the the First & Only AI-Driven WLAN – a bold statement indeed! Their primary source for retrieving statistics about users performance is directly inline from AP. This ‘at the edge’ approach allows them a deep insight into the radio and first hop performance of applications on their network. With a healthy punting of metadata to the Cloud, they claim to achieve “Automation & Insight through AI”. Pro: A great example of ‘Cloud enabled’ Analytics and they do seem to genuinely seem to be hyper-focused on WLAN performance. Con: Requiring Mist infrastructure means rip & replace for many organizations. Being hyper-focused on WLAN hardware leaves many organizations splitting their LAN infrastructure between vendors and that certainly diminishes the ‘one throat to choke’ troubleshooting. Visibility is at the AP layer only, ultimately leading to assumptive troubleshooting when issues outside of their visibility arise. Being a nascent company (and one of the last WLAN-only players) makes me wonder how long before they’ll be acquired. Consumption: Cloud with a premium capex spend as well as ongoing required opex. Since being acquired by Cisco in November 2012, Meraki has continued to deliver on bringing features to market through their flagship product, the Meraki dashboard. The closest anyone comes to a ‘single pane of glass’ management portal, Meraki continues to shine for those Cloud-friendly organizations that have hyper-value on a single point of administration for their network. Generally, these tend to be the highly distributed organizations as opposed to the campus enterprise. Meraki’s ‘Wireless Health’ feature is in beta now and was ‘automagically’ delivered to existing customers. Pro: Meraki’s AGILE product development targets the 80/20 rule pretty squarely. It’s ‘good enough’ for a lot of folks, and it’s ‘free’ to existing customers (if you don’t consider opex an expense of course). Con: Wireless Health is Wi-Fi only – with no end to end correlation of their switches or security appliances, and it fragments the message around full-stack solutions. While focusing on making an ‘okay for most’ product, they certainly lose out on much of the deeper technical data commonly found in some of the larger platforms. Consumption: Cloud with a premium capex spend as well as ongoing required opex (free to existing paying customers). Arguably *the* pioneer in Wi-Fi Assurance and Analytics, they were founded in 2013 and have a head start on most of the players in the market. 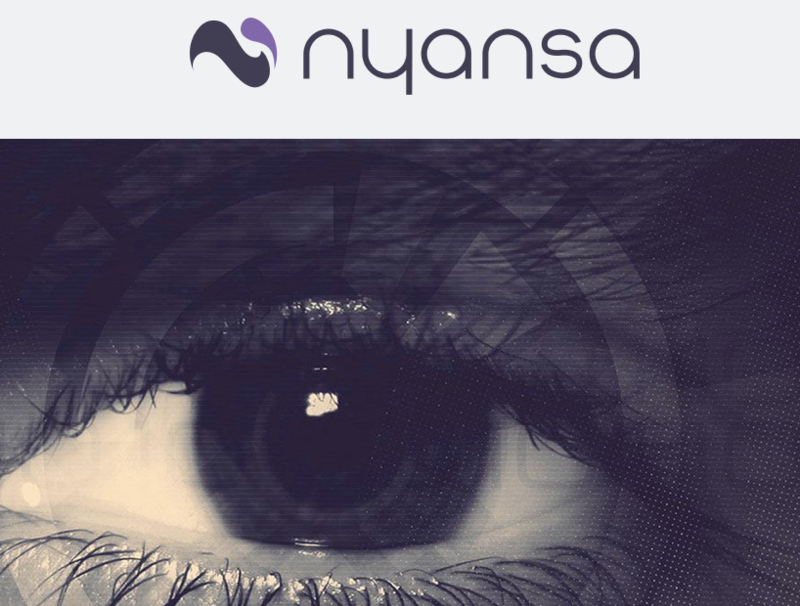 Interestingly enough, nyansa is the only player in this space that not only doesn’t manufacture hardware to pitch at you, they work with an ever-growing number of existing infrastructure providers (including most of the major ones!). Leveraging an onsite ‘crawler’ to gather the data and to punt metadata to the Cloud, the onsite components are generally lightweight and assuming you’re already a VM friendly organization, no real hardware requirements (including any ripping and replacing of APs) is needed. Pro: They’ve been at it a longer than anyone else and are clearly ahead of the game. They accept data from a variety of network sources including your LAN infrastructure so their ability to more accurately pinpoint issues is likely to be more accurate than a Wi-Fi only solution. Being able to ‘compare’ your data to peers of your own ilk is an interesting proposition and clearly one of the premier features they hang their hats on. Con: Having an analytics only platform that’s not tightly coupled with your infrastructure leads me to wonder about the long-term stickiness of the solution. The perceived high-cost of the solution, has lead many to ‘deploy, diagnose, then remove’ – very much defeating the long term goals of Analytics and Assurance platforms. Ongoing success when ‘all is good’ is very hard to demonstrate and the vendor neutral approach leaves them vulnerable. Consumption: Primarily an opex play since there isn’t really a capex component to speak of (no APs or appliances to install). 7signal has been fairly quiet on the Assurance front as of late, but they’re worth a mention. Being the pioneer in sensor driven tests, hanging an ‘eye’ to connect to your network and measure/gather various statistics about how well it’s performing has been their pitch from day 1. Falling more on the ‘stats digestion’ side of the house rather than on the ML/AI side of the spectrum, 7signal is worth noting due to their synthetic testing that closely mimics what a client sees on the network. Pro: Client first is the best way to view the network and a sensor (or embedded into a client) is the only way to get this data. Con: Having *only* client data means that correlation has to happen in a guesswork fashion. Coupled with a difficult install and a user interface that could stand a healthy dose of sprucing up and the platform overall is feeling pretty stale. Consumption: Capex spend for the sensors and ongoing support and maintenance. On premises deployment model with ‘lightweight-at-best’ analytics. 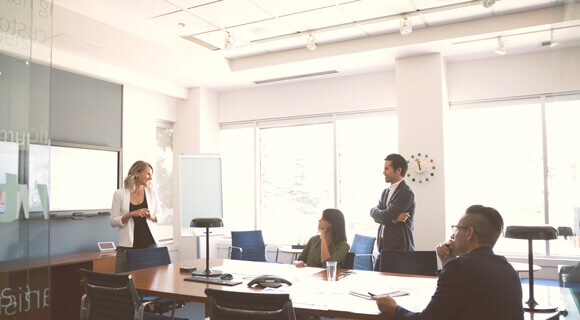 Aruba acquired Rasa in May of 2016 to become part of the Aruba Clarity team. They’ve since changed gears and are rolling the Rasa features into NetInsight. They’ve been relatively quiet on the productization front here, opting instead to show it off at events like Aruba Atmosphere and Mobility Field Day events. They get some interesting insights out of the education campus use case they show but I’ve not seen any readily actionable insights that don’t require some level of Data Scientist level of queries. They have the potential to move the needle in the industry here, but making it easy to use is clearly something they’re struggling with. Pro: Buying a ready made analytics company reduces their time to market and clearly Aruba is moving aggressively to get into the analytics game here. If you’re an Aruba Wi-Fi, AirWave, or Clarity/NetInsight customer, they have some big things in store. Con: Today the data is clearly difficult to get at. Usability leaves a lot to be desired and there is some pretty unclear things about where the platform is going. Between the legacy Clarity offering, the Rasa integration, NetInsight, and don’t forget about the recent Niara acquisition on the security side. There are lots of moving pieces here and Aruba will have to bring some quick clarity (hah!) to their consumption model. Consumption: NetInsight productization is currently TBD, but I expect it will be Cloud-first, if not Cloud-only by the time you can get your hands on a production ready solution. Cisco has been focused on DNA-Center, the successor to the APIC-EM platform. The platform runs ‘apps’ on top, and one of the flagship applications shipping today is DNA Assurance. This platform is the ‘all-in’ Cisco assurance platform that takes data from everywhere you can think of – netflow feeds from your WLC and/or switch, radio data from the AP, synthetic data from sensors, and feedback from actual clients. In short, they take the best of all worlds and attempt to lump it into one big platform without giving people the heebie-jeebies about their data being in the Cloud. Pro: Ambitiously Cisco is taking the ‘whatever you can feed me’ approach to Analytics and Assurance. The more feeds you can send to it, the better. This allows organizations to deploy the solution components that make sense to them and add more later if they want improved fidelity. Deploying an Analytics platform that you can actually run onsite in a 1RU appliance is no small feat and will be an undoubted boon for those Cloud adverse. Cons: All of that horsepower isn’t cheap. Coupled with Cisco’s somewhat tarnished reputation as of late around code quality makes some people nervous about ‘one box to rule them all’, but this should generally be a mitigated concern for out-of-band analytics. Of course, this all works best if you’re Cisco end to end and that could be perceived as a negative to some. Consumption: On premises hardware appliance fed by Cloud updates for the applications. Your Cisco ONE licensing consumption model and Smart Licenses will be key to getting this off of the ground, but so far there is no ‘break if you don’t pay’ approach. I hope that the roll-up was a useful overview to the Analytics and Assurance market as it sits today. Did I miss anyone? Let me know and I’ll try and get a summarization up for you ASAP! You left out the Arista. Mojo’s Cognitive WiFi solution uses rich analytics, an active 3rd radio, and the power of the cloud and big data to drive Machine Learning which provides not only root cause of problems, but also their solutions. The Arista / Mojo marriage will extend intelligence and automation throughout the network. Stay tuned. Thanks Robin! I appreciate the shoutout. Seems to be some soft corner for Cisco, had seen a high amount of capex for monitoring/analytical tools with million promises , delivering nothing…..
Just please compare the numbers…. I’m not sure what you mean by a ‘soft corner’ for Cisco. I’d love to compare numbers (I assume you mean pricing?) but getting list pricing is a) not what a typical user will pay b) hardly equitable without a specific scale and b) largely unavailable from all vendors. Do you happen to have pricing you can share for your deployment that you’d be willing to let me post?